McGee took the unusual step of making those comments after Brown and Stacy expressed concern in public comments about the first draft of the asset pooling study unveiled earlier in the meeting. TLFRRA funds are the 42 systems governed by the Texas Local Fire Fighters Retirement Act. Any asset pooling initiative would likely include many of those, but there are also small systems for police and other public employees as well. The PRB study did not define whether asset pooling would occur by choice of the systems or mandated by the state. Stacy also encouraged collaboration between the PRB and the smaller pension funds. Earlier in the meeting, PRB staff had unveiled its first draft of “Asset Pooling for Small Pension Systems.” The PRB modeled the potential impact of investment management pooling and also investment management and administration pooling. The models suggested that the systems might have seen a 29 percent increase, or $32 million, in total assets between 2007 and 2016 primarily related to lower fees and administrative costs. The 16 pension funds which each had less than $12 million in assets had the highest average expenses compared to 17 systems with assets less than $32 million and more than $12 million. The PRB's actuary member, Marcia Dush, commented that asset pooling might not achieve economies of scale for investment purposes without at least $300-$500 million in combined funds. To reach that number, 35 pension systems with the least amount of assets would be needed in a pooling effort. See Chart 1 below with those systems whose assets would combine to $535 million if they were mandated to be part of a pooling effort. The PRB has not discussed such a mandate, nor is it included in the report. The list below seeks only to identify the smallest systems which could combine to reach the scale needed according to Dush. 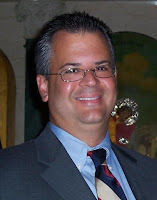 Joe Gimenez is a public relations professional who specializes in pension fund communications. He has assisted TEXPERS and several Texas pension funds in crisis situations and public affairs.